There are few royal tiaras more polarizing than this one: the aquamarine bandeau tiara worn by Princess Madeleine of Sweden. Funny how something so simple can be so divisive, huh? The tiara — which is often dubbed “the cyclops” for rather obvious reasons — is much older than it seems. When Madeleine first began wearing the tiara, many assumed that it was a newly-made piece. But there are photos of Madeleine’s aunt, Princess Désirée, wearing the tiara. Its history apparently goes back two generations further: sources suggest that it was the property of Queen Louise, the wife of Madeleine’s great-grandfather, King Gustaf VI Adolf of Sweden. The design of the sparkler is incredibly simple — two thin rows of diamonds hugging a single, large aquamarine. 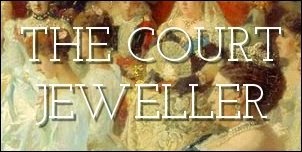 If the tiara did indeed belong to Queen Louise, it’s plausible that the piece is from the art deco period. Madeleine received the aquamarine tiara as an eighteenth birthday gift from her parents, King Carl XVI Gustaf and Queen Silvia of Sweden. Like her sister’s birthday tiara, this was something of a starter piece, and Madeleine has since graduated mainly to larger and grander tiaras. She does, however, occasionally bring out the cyclops at white-tie events.